Alright, sooooo first thoughts on sharing your wedding day with 11 other couples… WTF, right? Our generation gets after that festival life HARD. Food festivals, wine festivals, music festivals, yoga festivals, art festivals, multicultural festivals, we have a fête or fair for it ALL. 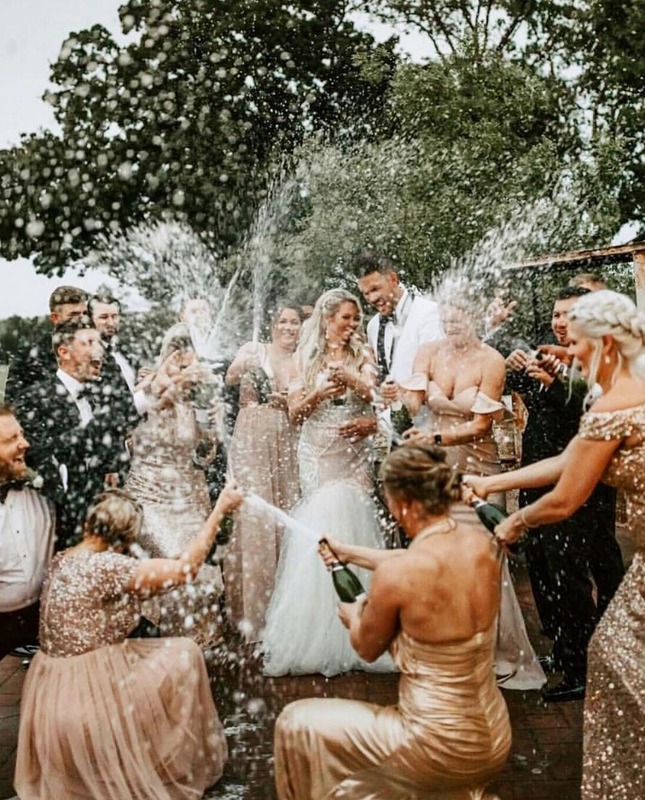 The wedding world hasn’t exactly gotten there yet, but since boho/indie/Coachella centric-celebrations have carved themselves a nice niche spot in nuptials over the last few years, it’s about time the festival format went live. So, if you want to be one of the pioneers behind the ‘all in this together’ tie-the-knot trend, then you absolutely can. Our generation treasures and champions the guest experience. Really, as much as it’s OUR day to celebrate as the couple, it’s theirs to enjoy too. In fact, a lot of what millennials spend the most time and energy and money on these days is to guarantee that their guests have as baller a time as they have. Our generation is so ovvvvver the price and stress. Okay, so anyone who has ever gotten married has complained about the price, but things just keep getting more and more outrageous and expensive and there’s no end in sight. Add to that the fact that Pinterest, Etsy, Instagram and the endless amounts of aesthetic inspiration out there just keep that quest for wedding perfection all the more stressful (we love it, but c’mon, who else has stayed awake at night stressing over replicating a centerpiece they saw somewhere on social media?). It’s BEYOND. All things considered, this mass wedding event has been in our minds for a while now, but Ben Higgins (yep, 🌹, that Ben Higgins) and DiningOut Events are finally bringing it to life on LDW. On September 1, 2019, 12 of the coolest and game-for-anything couples will get married - as a group - at The Denver Polo Club. All it’ll cost them is $150 per person, with a 100-guest commitment ($15,000 for the full purchase, or the option to subsidize their guest tix), and they get full planning services, venue, tenting, stage, dance floor, music, all food and beverage, decor, flowers/bouquets, seating, entertainment, digital copies of all photography and videography. Plus, local transportation to and from the event for just the couple - on their own. And once the vows are exchanged, the pronouncements are made, and the kisses are shared, it’s PARTY time for everyone. Including all of their guests, Denver, CO festival-goers, and the most incredible crew of Queen City culinary wizards, cocktail connoisseurs, and music mavens (Denver’s best and all-tastes-pleasing lineup of DJs and bands). From wine and beer tents to games, lounge areas, and art installations, one ticket per guest gets them entrance to everythingggg (as a reminder, that’s $150 for an all-inclusive ticket to ride, which is pretty rare when it comes to per plate costs for modern weddings). Starting with the most important reason that they’re there: their friends taking that huge next step! 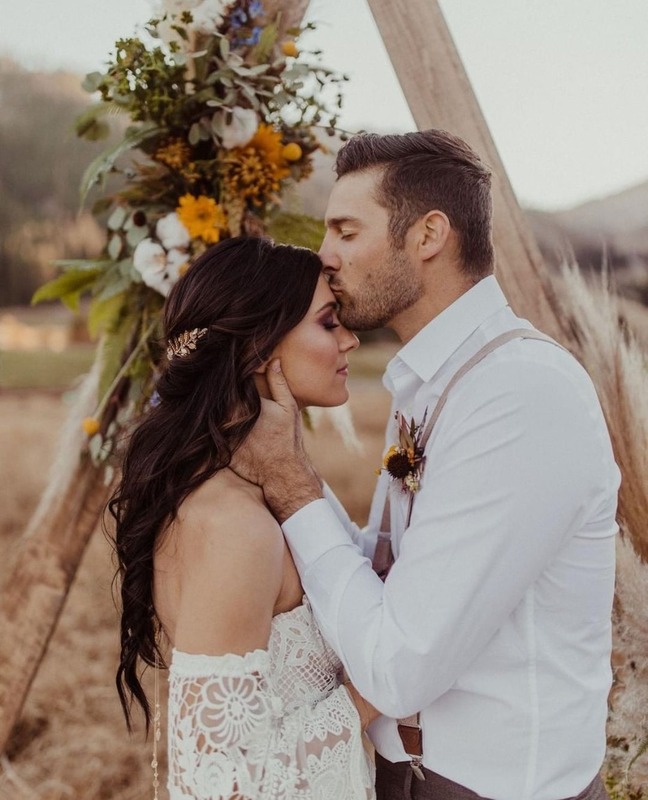 Ben, the girls and guys at DiningOut, and their wedding guru, Heather Dwight of Calluna Events (a BRIDES Magazine ‘Best Wedding Planner in America,’ NBD), have poured over the INSANE amount of applications and submission videos/teasers to decide on these 12 lucky couples. And apparently they have openings for two more couples. So, if you’re up for the group wedding, make sure you get on that Google entry form RN!!! We’ll remind you that travel and accommodations, wedding dresses/suits, photography prints/photo albums, and pre-event activities are not included, but if you’re local it shouldn’t matter TOO much, and if you’re not, a destination wedding in Denver should be fun, right?!?!! FOLLOW THE WEDDING PARTY ON IG TO SEE THE LATEST ON THIS GROUP WEDDING EVENT AND HOW TO GET IN ON IT! !